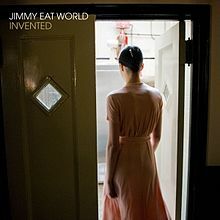 Invented is the seventh studio album by American rock band Jimmy Eat World, released on September 28, 2010 through Interscope Records. Recorded primarily at the band’s home-based studio, the album was co-produced by Mark Trombino, who had previously worked on the band’s earlier material; Static Prevails (1996), Clarity (1999) and Bleed American (2001). The album was preceded by the single “My Best Theory”, released on digital download on August 10, 2010. Released to favourable reviews, Invented sold 34,594 units in the United States during its opening week, and debuted at number five on on the Billboard Rock Albums chart and number eleven on the Billboard 200. Lyrically influenced by the photographic works of Cindy Sherman and Hannah Starkey, vocalist, guitarist and lyricist Jim Adkins states that each song is its own “closed narrative,” remarking that, “the album title, Invented, refers to a song which I feel sums up the mood here, but could also be taken more literally as this album is the deepest into character writing we have tried so far.